TSHOLOTSHO Rural District Council (RDC) is setting up a Commission of Inquiry into possible embezzlement of hundreds of thousands of dollars, including $360 000 that was meant for the construction of Tsholotsho Stadium. Yesterday, speculation was rife that council chief executive officer Mr Themba Moyo would be suspended over the improprieties. The $360 000 was raised through the sale of 60 elephants, each going for $18 000, which were in 2013 donated by the Ministry of Environment, Water and Climate Change, then under Saviour Kasukuwere. Only 20 elephants were sold and the money is allegedly missing from council coffers. 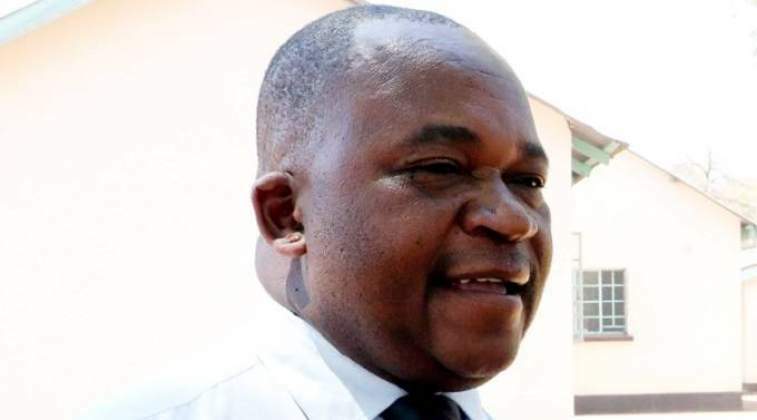 Among the litany of charges, an unspecified amount believed to be running into hundreds of thousands of dollars was allegedly transferred to the RDC from the Zimbabwe Manpower Development Fund (Zimdef) and has also gone missing. It is also alleged that there was rampant corruption regarding allocation of major tenders by the local authority. The RDC failed to account for the money during an audit done through the Ministry of Ministry of Housing and Local Government and other functionaries of the State in March this year. The Council Chairperson Mr Esau Siwela said the Ministry recommended that they set up a Commission of Inquiry which would investigate the irregularities unearthed by the audit. All the recommendations outlined during the audit report presentations are expected to have been accomplished by the end of this year. "I can confirm that an audit was done in March and its forensic findings were presented to us. One of its key findings is the ‘missing' $360 000 which was meant for constructing the stadium. "The money was raised through selling elephants and 20 were gunned down and the money was handed over to the Rural District Council headed by Mr Themba Moyo," Mr Siwela said. "It is reported that an account was opened and its signatory was one of the previous councillors. The money is said to have disappeared without a trace." He said other findings included mismanagement of the Zimbabwe Manpower Development Fund (Zimdef) funds. "In the report it's outlined that Zimdef funds were allocated for this district but there is no transparent accountability on how the funds were used. Allegations are that the money was used without the knowledge of the council," Mr Siwela said. "Another major finding was on issuing of tenders by council. It looks like there was an evident release of procurement funds without any tendering done. The audit traced the companies who got the tenders back to the RDC." Tsholotsho Football Club was also getting funds from the Council although it was privately owned. "The council was even failing to pay salaries for its workers to the extent of selling some land to do so," Mr Siwela said. He said the findings and other allegations would be investigated by the Commission of Inquiry through consultations with the relevant ministry for transparency and accountability. In an Interview, Tsholotsho RDC chief executive officer, Mr Moyo, said the audit was a routine one by Central Government and its mandate is to provide recommendations and a roadmap for the future running of the local authority. He rubbished allegations that he was going to be suspended pending investigations by the Commission of Inquiry. "As you can see, I'm still at work and nothing in that audit report implicated me directly. In fact I'm happy that this audit was done because it helps in the day to day running of the council as it provides recommendations and a road map to follow," Mr Moyo said. Responding to allegations that he was using council funds to run his personal businesses, he said he has his own business in Bulawayo and a farm in Esigodini and both have nothing to do with the council money. "Being a public figure makes everyone want to scrutinise how you live your life. I have a private life also. Instead people should be talking about developmental projects instead of spreading falsehoods," Mr Moyo said. He said the council has managed to construct Umtshina Primary School in Ward 10, Mpilo Clinic in Ward 7 and Tshithatshana Clinic in Ward 8. "We are waiting for the $256 000 promised by Government for water and sewer reticulation in the district," Mr Moyo said.